Let’s start today with this Rewst review or overview. Well I know that name might not be all that familiar so let’s add another name to the conversation. Twitter. Now we’re talking. Whether you’re new to the traffic and social network game or not, Twitter is something you know something about. Now let’s keep going, so just hang in there with me okay. If you own a blog or a website you know that Twitter equates to good things when it comes to exposure and visibility online because half the planet uses Twitter which means a ton of people in the same place. With that said, it might not be Facebook, but tweeting and Twitter has become a household name. Rewst and Twitter have developed a nice relationship that means great stuff in store for you. 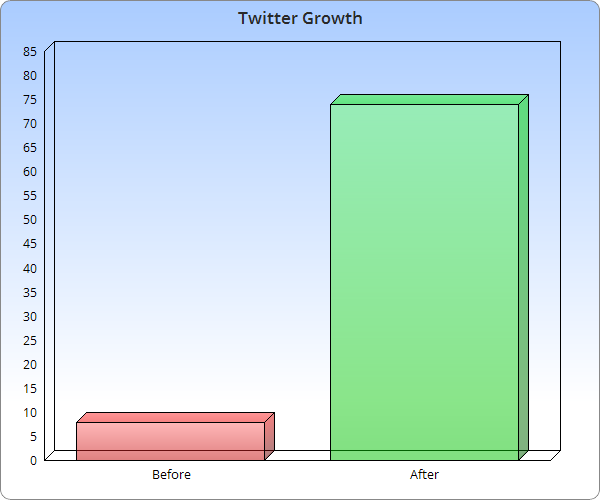 Rewst is a Twitter growth tool. It’s a new kid on the block that you can use to grow your Twitter account. The best part about it is that it has been reviewed by Twitter and completely complies with Twitter rules which is great for those of us who love Whitehat strategies in our online presence blueprint. With that said, if you’re looking for something “automated”, that’s a Twitter no no and we don’t roll like that around here and neither does Luke King, the founder of this handy tool. Earlier this month, I launched a new tool with a friend at PeerFly that can help you grow large Twitter accounts that you can then use to promote PeerFly offers. The tool, called Rewst, allows you to use a simple and compliant Twitter strategy for growing your Twitter accounts by following accounts that will like the content that you are posting on your own account. We've made it really easy to use and it's very effective. Current Rewst (rewst.com) members are adding 50-100 new targeted followers a day to their accounts with very little time and effort. We'd love for you to join and give it a try! Luke also gave me a discount code in the email for a lifetime 30% off the product. If you want that discount code, just leave a reply in the post or email me and I can send the discount code your way. Nevertheless, I have tried the tool and guess what. It works !!! I used it on an account that had been pretty dormant for a while and it only had 8 followers before I tried Luke’s tool. After less than 48 hours that account has grown to 74 organic followers. These are NOT paid followers for any of you that may be wondering and there was nothing automated about this process. Literally, I invested roughly 7 minutes yesterday evening and another 7 minutes this morning and I’m already at 74 followers. That is an 825% increase in followers which is AMAZING ! I’d challenge anyone to show this kind of growth using any other tool. For an out of the box tool such as this, I’m beyond impressed with how quickly this tool works and given the results. This is now in the blogger toolbox of resources that I use to grow my brand, blog traffic and presence online. You may be wondering, well how does this work. Well lets get into that. I will give you an overview of what this tool is about. First things first, after you get to the website Rewst.com, sign up. It’s pretty painless and quick. Just three fields (email, password and password confirmation) and that’s it. Click register and you’re good to go. Follow tab: you’ll see additional actionable items (e.g. fans, new followers, copy followers, keywords and suggestions). Fans, as best I can guess at this point are people that love your content. New followers: these are the people that have followed you most recently so they are the newbies to your Twitter follow base. I think this is cool and it gives you a new list of people to start a conversation with, introduce yourself, promote a popular piece of content or a product. Copy followers: this is hands down the most practical and useful feature of this tool and I think you’ll like it too. You can target anyone with a Twitter account by their handle and copy their followers. You may be wondering, well why is this so good ? Well if your content is about lawnmowers, you want people interested in lawnmowers right ? So find someone with a targeted audience with lawnmowers. Copy their followers and start following them. One of two primary things will happen. (1) They will follow you back. (2) They won’t follow you back. It’s that simple. In fact, if your content is similar to mine, you could use my Twitter handle “@candidwriter” and copy my followers and see who follows you back. With that said, you may also wonder… well how do I know who’s followers to copy. Well that’s where the next feature comes in to play. Suggestions: in this section, Rewst gives you Twitter account suggestions in five different categories: sports, entertainment, music, digital creators and news. I’m not sure if they plan to add more to this section in the future, but for now this is what is there and you’ll find several accounts that align well to each category. The next major tab is the Unfollow tab. In this section you’ll find additional actionable items (unfollowers, non followers, inactive followers). Unfollowers: are those that used to follow you but don’t any longer. This isn’t much different than what you’d find any other Twitter tool. Non followers: are people you’re following but they aren’t following you back. As for this section, if they haven’t followed you back after 72 hours to a week, I’d just let them go, but it’s your choice, but it helps to keep people on your list that want to follow you as much as you want to follow them, but everyone has their own perspective on this, but for the sake of this post, I’m just sharing my perspective with you. Inactive followers: people you’re following that haven’t been tweeting. With that said, if they aren’t active, remove them from your list. The next major tab is the Tools tab. Here you’ll find actionable items such as (manage blacklist, manage whitelist, follow history). Manage Blacklist: this is a section where you can block the people that you don’t want to follow in the future and they won’t show up while you’re performing any action. Basically out of sight and out of mind. So if you’ve got someone on your list that’s rubbed you the wrong way and you no longer want to be associated with them, this is the section for you. Manage Whitelist: alternatively speaking these are the individuals that you want to follow and want to be associated with regardless of whether they are following you back or not. You don’t want the people in this section showing up in your non followers or inactive followers sections. Follow History: very straightforward, shows you your own following history. Who have you followed on your own without using the tool and who have you followed using Rewst. The final major tab is the More tab. The actionable items here are (FAQ and contact us). Within the FAQ, you’ll find limited information but it’s still worth a look from a curious standpoint. I’m assuming that this section will grow over time. However, you can also check out their knowledgebase as well for additional information. On the contact us page, there’s a dialogue box where you can provide information pertaining to questions or other suggestions that you have. Beyond that, there’s nothing else to share about this tool other than the reality that it’ll grow your Twitter audience remarkably fast. So with that said, stop reading this, download the tool and get growing !